Meet Your 2018-2019 Student Council Officers! What made you run for Student Council? What made me run for Student Council was because I wanted to change things in the school. What are your goals for Vine Street School? Some goals for Vine Street School are to help stop bullying and help Vine get much more money for field trips. What will you being doing 15 years from now? 15 years from now, I will be in college. Some of my interests are taking pictures, drawing, and talking with my cousin. Vice President - Alex A. What made me run for Student Council was that I want to prevent bullying in my school. My goals for Vine St. are to stop bullying. I will be in college and at work. My interests outside of school are to draw and [play] soccer. I wanted to run for Student Council because Student Council helps with school, like recycling and taking care of spirit days. My goals are to stop bullying in school. In 15 years, I will probably be at work as a nurse or continuing in school. My interests are doing fun activities with friends and family members. I ran for treasurer because I want to try my best for being here and I also want to try counting the money and giving students some field trips. My goals here in Vine Street School is to make this school better and collect money for this school. What I'm [going to be] doing in 15 years is to go to college and go to work. My interests outside of school are going to my cousin's house and having fun. My cousin was historian, and she said it was fun and you had to do lots of work. She inspired me. My goals for Vine Street School are to raise money for the school and stop bullying and start being nice to each other. I will be an artist who draws beautiful things and to draw humans for the first time. My interest is drawing. Every time I leave school, I draw all the time. I want to help this school and make it better. My goals are to make this a better school. I will be playing professional soccer. I ran for Student Council so that this school will be a better school. My goal is to make it the best school in the world. I will be a soccer player. 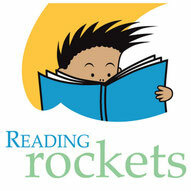 Reading Rockets is a national multimedia project that offers a wealth of research-based reading strategies, lessons, and activities designed to help young children learn how to read and read better. Their reading resources assist parents, teachers, and other educators in helping struggling readers build fluency, vocabulary, and comprehension skills. Create your stories online! First choose from hundreds of illustrations, then write your story! Look up the reading level of thousands of books! Visit this website to access hundreds of fun games for every subject!!! A useful resource for students, parents, and teachers. Email sign-in required.